All good leaders share some qualities, no matter if they exist in politics, business, or even professional wrestling. A good leader measures success by the accomplishments of the group, not the accomplishments of the leader. A good leader promotes unity and works to alleviate discord between members of the group. And a good leader faces adversity head on and does not hide from it. Kazuchika Okada is a terrible leader. To be fair to Okada, he never gave the impression that he wanted to be the leader of CHAOS. CHAOS belonged to Shinsuke Nakamura. Despite Okada being the IWGP Heavyweight champion and being in the main event of most of the major shows, Nakamura was still the leader of CHAOS, and both wrestlers seemed content with this relationship. Nakamura never challenged Okada for the title, and Okada didn’t challenge Nakamura for the role of leader. Everything was balanced between the two. But then Nakamura left. During his farewell, Okada was visibly distraught, tears running down his face as he paraded Nakamura on his shoulders. He was crying because his friend and mentor was leaving, but maybe a few of those tears were for the future, a future where the responsibilities of CHAOS were his and his alone. Okada had great individual success as the leader of CHAOS. He became one of the most dominant IWGP champions in history. He defended the title a record-breaking 12 consecutive times and did so with a series of incredible matches. A true leader is not measured by his own success though but by the success of those who follow him. So how well did the rest of CHAOS do? In the time of Nakamura, championships were plentiful for CHAOS. The IWGP Heavyweight title, the IWGP Intercontinental title, and the NEVER Openweight title, were all fixtures around the waists of CHAOS members. The three biggest titles in the company were synonymous with CHAOS wrestlers Okada, Nakamura, and Tomohiro Ishii. But Nakamura left, and the Intercontinental belt has not been held by CHAOS since. 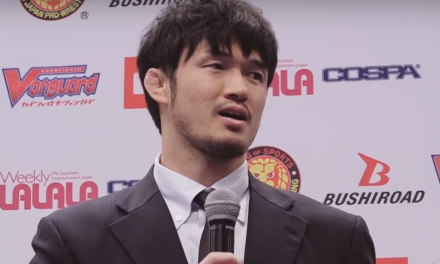 Hirooki Goto replaced Ishii in the NEVER picture, but while no one can doubt Goto’s skills, he does not have the same lengthy history with CHAOS that Ishii does. Other long-term CHAOS members have been even more barren. Rocky Romero won several junior tag titles but is now in semi-retirement, as are non-entities Gedo and Jado. Toru Yano, once one of the most prominent members of CHAOS, is a comedy act with no major wins or even feuds. The most successful people in CHAOS have been those brought in after Nakamura left. Will Ospreay was the first person Okada brought into CHAOS as the leader, and he won the Best of the Super Juniors tournament and the IWGP Junior Title twice. The next person Okada brought into the faction was Hirooki Goto, and Goto has made it to the finals of the G1 Climax and won the NEVER title three times. SHO and YOH were brought in and won the IWGP Junior Tag Titles twice. And then there’s Jay White, who won the IWGP United States title. There is a clear divide on who has succeeded under Okada’s leadership. The people he has brought in have won gold, and the people who were here with Nakamura have been regulated to tag and trios titles. Okada failed to bridge the divide between new school CHAOS and old school CHAOS. But giving Okada credit for the success of these new acquisitions also feels false. Perhaps he deserves some credit in the case of Ospreay and Goto, two men Okada took interest in. But when SHO and YOH were announced as new members of CHAOS, Okada looked as surprised as everyone else. And Jay White was openly antagonistic towards Okada. 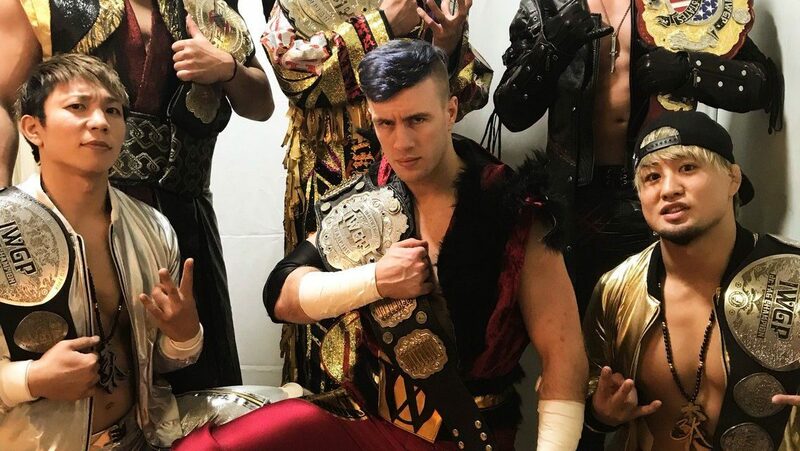 The success those three have had since joining CHAOS has little to do with Okada’s leadership, and instead their own skills and other mentors. Okada’s failings as a leader cannot be discussed without mentioning Jay White. White was brought into the faction with no upside for CHAOS. He needed back up against the Bullet Club, and in return, Okada got a moody malcontent who refused to follow along with the group. Jay White told Okada he was going to go after him one day, and Okada did nothing. White bullied other members of CHAOS, and Okada did nothing. While White was running amok through CHAOS, and Okada was too worried about his IWGP championship to bring him in line or kick him out. What Okada’s motivations were are unknown. Perhaps he did not see White as a serious threat, thinking of him still as a Young Lion. Perhaps he did not believe White’s threats. Whatever the reason, Okada let White get away with driving a wedge in CHAOS. Everything was manageable when Okada was champion. With that belt around his waist, he had the trump card in any argument about his leadership. But when being champion is the only pillar of leadership, what happens when that pillar crumbles? For Okada, he lost all semblance of leadership. He wore goofy pants and carried goofy balloons and lost matches he should have won. He didn’t know it at the time, but each time he drew a smiley face on a balloon, he was losing a bit of the faction he was supposed to control. Okada had a similar meltdown in 2015 when he was unable to beat Hiroshi Tanahashi in the main event of WrestleKingdom 9. But he was able to get away with that because of Nakamura’s leadership. Losing the IWGP title most recently was the biggest test Okada’s leadership, and he failed it completely. Without the title, Okada had no authority over the rougher elements of CHAOS. Without the title, he no longer had the support of Gedo, the man behind the curtain. Without the title, Okada no longer believed in himself, and if a leader can’t believe in himself, why should any of his followers believe in him? Okada spent so much time and effort in his record-breaking championship run when a good leader would have helped his faction mates as well. Even if that means sacrificing his own title dreams. All Okada had to do was look at the examples set by the faction founder. Nakamura understood that CHAOS was stronger when he was not the only focus. It is a lesson in leadership that Okada never learned.